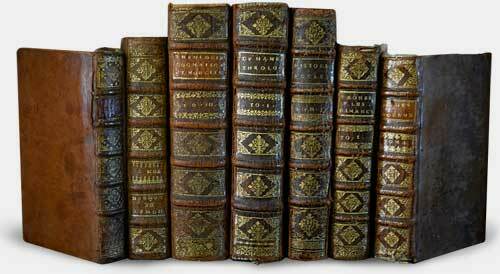 The best site to sell your antique books online. Skip the auction house and sell your antique books directly. We buy antique books at fair prices; see how easy our process is! This may be of interest to us! Postcards or RPPCs of this age may be of interest to us, please proceed. Unfortunately, we aren’t interested in purchasing postcards of that age. We appreciate your visit nonetheless! Photographs of this age may be of interest to us, please proceed. Unfortunately, we are not interested in purchasing photographs that are this modern. We appreciate your visit nonetheless! Ephemera typically includes materials such as vintage magazines, correspondence/letters, catalogs, land deeds or historical documents. Ephemera of this age may be of interest to us, please proceed. Unfortunately, we are not typically interested in purchasing ephemera that modern. We appreciate your visit nonetheless! Manuscripts generally include historic documents, land deeds, indentures, book manuscripts, etc. Manuscripts of this age may be of interest to us, please proceed. Unfortunately, we are not interested in manuscripts of this age. We appreciate your visit nonetheless! Please proceed to tell us a bit more. How old is the photo? What condition is it in? What is the subject? Is it one photo or a collection? How old is the postcard? What condition is it in? Is it used/postmarked? What condition is it in? Is it handwritten? Tell us more about your ephemera! What type of item(s)? In what condition? How many books? On what subject(s)? What condition are they in? Please provide a few specific books to represent your collection. Does it have any of these attributes? Unfortunately, unless a modern book has a defining feature or special quality, we typically are not interested in purchasing it. Want to stay connected on our mailing list? Your item has been submitted for review! Thank you for submitting your item for evaluation. You'll hear back from us within 24 hours. Skip the auction house fees. Simply submit details about your book online and if we’d like to buy, we’ll make you an offer! Once negotiations have been finalized, payment is made within just 24 hours! You’ll receive up to 75% of fair market value. Wondering where to sell rare books? Give us a try! You might be surprised at what we offer for your rare, old or antique book. As your go-to online rare book buyer, we specialize helping you sell your antique books easily with a quick online submission process that’ll help you find out what your book is worth within 24-48 hours. We’re interested in buying rare or antique books and ephemera dating from the 19th century and earlier, as well as modern first editions, finely bound books, and antique ephemera. Involved in estate sales or liquidations? We offer advice and suggestions for selling antique books found in estate libraries and private collections. Got an antique book you’d like to sell? Try using our Instant Evaluator tool to find the value of your books …. if we’d like to buy it and avoid the ridiculous auction house fees. Full sets, Antique book collections or entire libraries – please e-mail us directly! an opportunity to sell your old books or ephemera quickly and fairly. Want to sell your antique book? Use our evaluator tool to tell us about your antique book and if we're interested in purchasing, you'll have an opportunity to sell your old books quickly and fairly. Is My Old Bible Worth Money? We are an exclusively online business and do not have a brick-and-mortar storefront. Call (602) 481-8476 | © 2019 Regency Antique Books | All Rights Reserved.